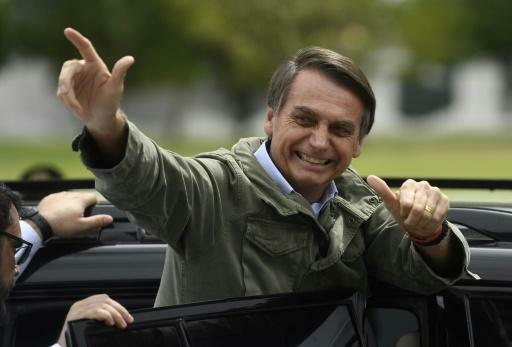 Brazil's far-right President-elect Jair Bolsonaro will merge the environment and agriculture ministries, an adviser confirmed Tuesday, a move activists have warned could imperil the country's natural resources, including the Amazon rainforest. "Agriculture and environment will be in the same ministry, as we've said from the beginning," Onyx Lorenzoni, Bolsonaro's pick for chief of staff, told journalists after the president-elect huddled with top advisers to start forming his new government. Bolsonaro, who is backed by Brazil's powerful agrobusiness lobby, had proposed the idea in the past, saying, "Let's be clear: the future ministry will come from the productive sector. We won't have any more fights over this." But the former army captain had struck a more conciliatory tone in the final days of the campaign, saying, "I'm open to negotiation on that issue." Bolsonaro, who rode a wave of anti-establishment anger to victory in Sunday's election, wants to slash the number of ministries from 29 to 15, in the name of reining in public spending. But activists see grave consequences in merging these two ministries in particular: one responsible for the agricultural industry, the other responsible for making sure that same industry does not wreck the environment, among other things. The move "will be a triple disaster," said former environment minister Marina Silva. "We are entering a tragic time in which environmental protection will amount to nothing. The Bolsonaro government hasn't even started and the backsliding is already incalculable," she tweeted. Bolsonaro, who outraged many with his vitriolic and intolerant rhetoric during the campaign, had struck a more conciliatory tone in the home stretch. His quick reversal on the environment ministry will likely raise fears he will stick to his hardline conservative stance on other issues, too. 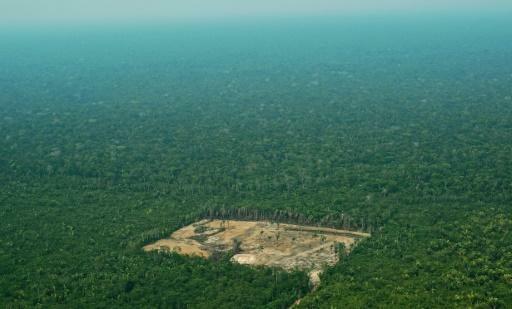 Environmentalists had warned prior to the final decision that the implications would reach far beyond Brazil. The Amazon, which is being deforested at an annual rate of some 52,000 square kilometers (20,000 square miles) -- an area the size of Costa Rica -- is vital to the exchange of oxygen for carbon dioxide in the atmosphere, a check on global warming. "To increase deforestation and greenhouse gas emissions is to leave each and every one of us more vulnerable to an increasing risk of climate extremes," said Carlos Rittl, executive secretary of the Brazilian Climate Observatory.